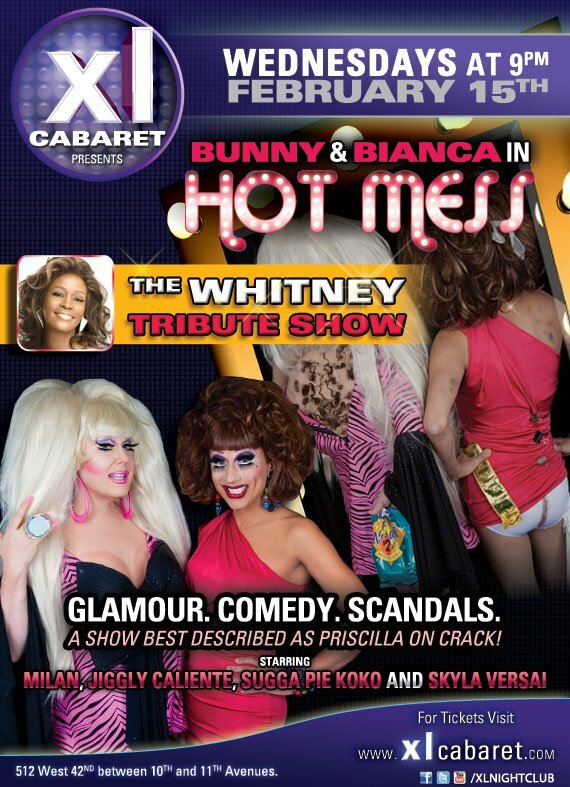 Lady Bunny Blog: HOT MESS SALUTES WHITNEY! 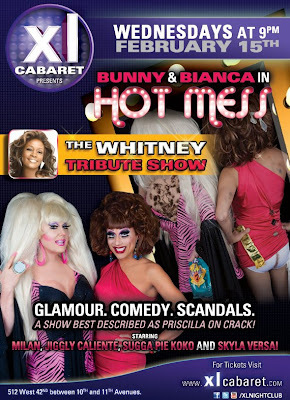 HOT MESS SALUTES THE LATE, GREAT WHITNEY HOUSTON AT XL 9PM 2/15. Will it be cheesy? YES! Will it be gay? YETH! Will it be So Emotional? YES! It's a salute to Whitney Houston with our regular HOT MESS cast of Bianca Del Rio, Milan, Jiggly Caliente, Sugga Pie Koko, Skyla Versai and very special guests Janae Banks and Ebonee Excell giving you Whitney moments and magic for days! No inappropriate humor--just a straight tribute to a great diva who died too early. Come have a Whitney moment and re-live her finest triumphs with our fantastic cast. $10 for 8 divas. Please note: it's an early show from 9-11 and you don't want to miss our opening number in this gorgeous new venue! CAROL CHANNING AND THE ASSOCIATION?!? !